China’s foreign policy apparatus needs a makeover. Here’s where to start. Yesterday, the authors outlined the problems with China’s foreign policy bureaucracy. In this follow-up piece, they provide suggestions for improving foreign policy decision making in China. China’s self-identity has evolved from an “East Asian country” to an “Eurasian country” and finally to “the heart of Asia.” It marks a return to an old regional pattern. Although a return to the Sinocentric hierarchical system is neither possible nor desirable, a leading role in the contemporary international system is within China’s grasp. The idea that all nations, big or small, should be treated as equals is one of the basic features of current international society. Today, it is hard for nations to emerge through wars, as has happened historically; a peaceful rise is the most realistic choice. To achieve this goal, China must reform and innovate the conceptual framework, bureaucratic systems, and talent selection of its foreign policy bureaucracy. In terms of conceptual frameworks, China should get rid of its “victim mentality” and be confident. It may be normal to fear that falling behind will get you attacked, but China has already passed through this stage. No state is able to bully China. Putting forward the strategy of “new type of major power relations” indicates China’s confidence when it comes to great power relationships. As a central state in a rapidly developing continent, China is necessary to lead peripheral countries on the path of mutual development – but first the surrounding countries must be willing to be led by Beijing. Thus, China has to gain understanding and trust from its neighbors. That requires Beijing to have wide-ranging political vision and long-term perspective in its relationship with surrounding countries, especially small and medium states. Furthermore, China should put itself in other countries’ shoes and consider those countries’ concerns and demands from Beijing. Even if it is impossible for China to fully fulfill their needs, sympathy and understanding toward the situation could be help to deal with tensions. In addition, Beijing should ease its domestic nationalism and cultivate great power tolerance in its citizens. Regarding the bureaucratic system, China should balance the internal and external functions of the National Security Commission (NSC) and strengthen its control over external affairs. Since General Secretary Xi Jinping, who serves as chairman of the NSC, is in charge of domestic issues, China should appoint a member of the Politburo as deputy NSC chairman and deputy leader of the Foreign Affairs Leading Group. This official would then be responsible for foreign affairs. 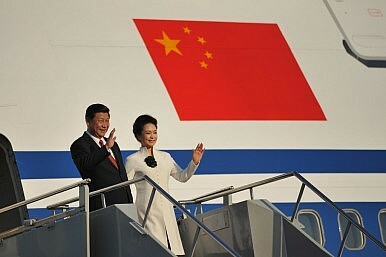 At the same time, the post of foreign minister should be held by a vice premier who is also a member of the Politburo. In addition, candidates for foreign minister should ideally be selected from a pool of non-diplomats; that way, the minister will be expected to focus more on selecting policy suggestions. In support of the deputy chairman mentioned above, the foreign minister could select, summarize, and rank policy suggestions on major diplomatic events. This could largely improve the quality and effectiveness of top leaders’ decision making process and the coherence of China’s foreign policy. Such a system would also enable China to provide more public goods in the region and even worldwide, furthering China’s ability to play a leading role in the regional order and global system. In terms of talent selection, it is necessary to scrap the exclusive system that currently exists in MOFA and largely increase the staff of non-diplomats. In the long run, the solution lies in the separation of political appointees and civil servants but this will require coordination with other ministries. In the medium term, MOFA at least can start with the following two measures: strengthening off-the-job training and extending training terms, thereby increasing officials’ relevant knowledge and skills. An even more effective strategy would be increasing the number of “outsiders,” such as enlarging the proportion of non-diplomats in the Foreign Policy Advisory Group (among the newly elected members of the committee, only six out of 29 are non-diplomats). MOFA should also consider strengthening the capabilities of the committee or even upgrading it to be the Foreign Policy Advisory Group of the National Security Commission. More importantly, it is necessary to appoint experienced specialists and scholars as departmental-level or even ministerial-level officers who are included in decision making agencies. Professor Wang Huning’s experience should not be a special case; instead, after a transition period, this should become the new normal. Dr. Xue Li is Director of the Department of International Strategy at the Institute of World Economics and Politics, Chinese Academy of Social Sciences. Xu Yanzhuo received her doctorate from Durham University (UK) in December 2014 and studies international responsibility, South China Sea disputes, and Chinese foreign policy.